Monofonus Press | TIM KERR DEAL! TIM KERR DEAL! 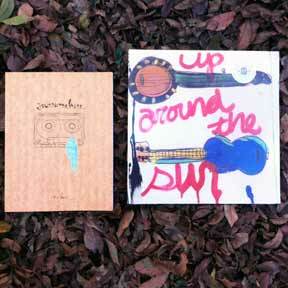 Up Around the Sun LP and Your Name Here Book. Another Monofonus deal for you! For $19.99 you get the Up around the sun LP, and also Tim Kerr’s badass book titled “Your Name Here”. Austin legends Tim Kerr and Jerry Hagins’ new project of old time music is called Up Around the Sun. We are happy to be releasing the debut LP! Comes with Download Card.